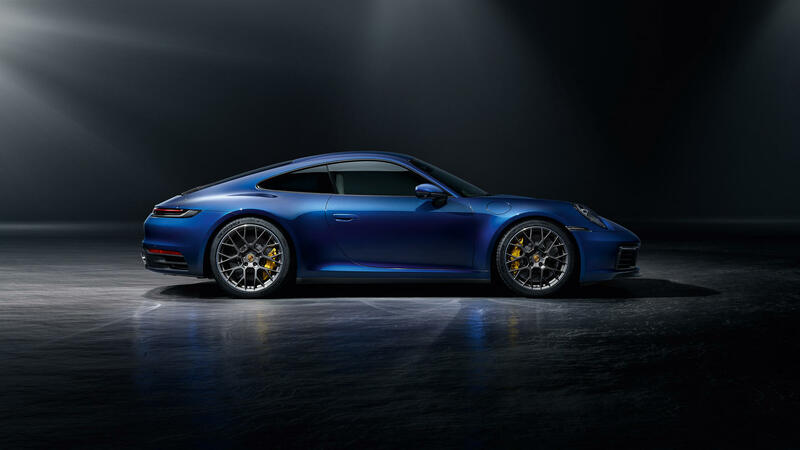 The new 992 was perhaps the most anticipated launch at this year's LA Autoshow. 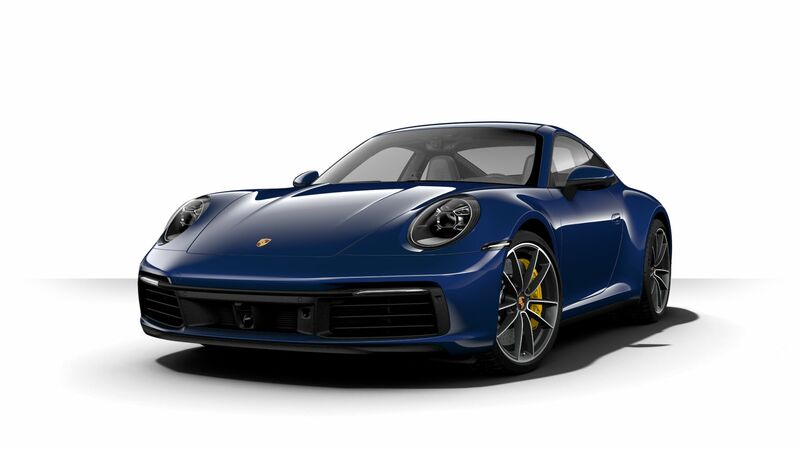 With pictures of virtually undisguised 992s hitting the web well ahead of the event there was little to no surprise as to how the new 911 iteration would look like. Most anticipation was built around the specs and the tech surrounding the latest 911, and they are in each case highly remarkable. 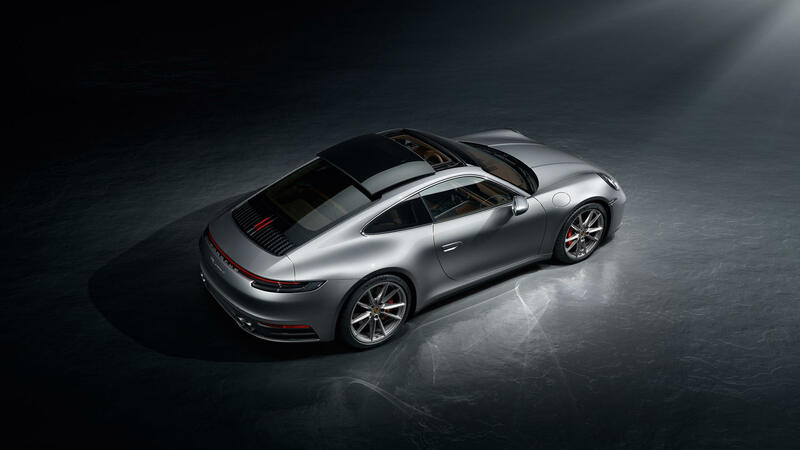 The new 992 will first become available in Carrera S and Carrera 4S trim. The 3-litre boxer engine now delivers 450hp with maximum torque at 530Nm. 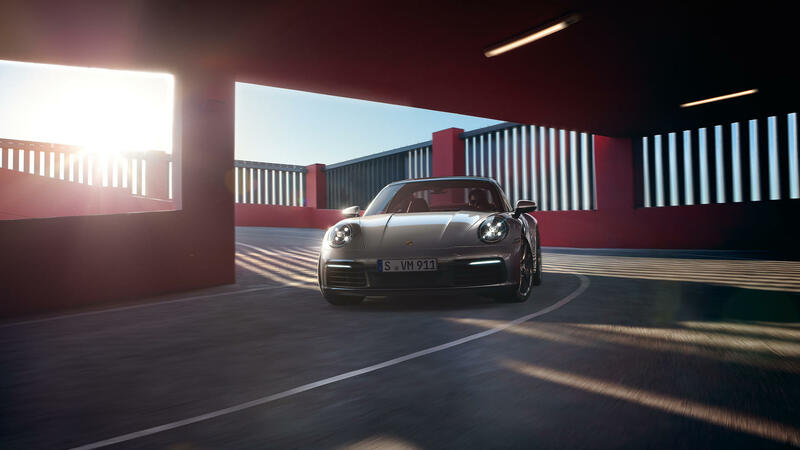 These are statistics that put the 992 at similar level with the facelift 991 GTS coupe but also with illustrious top-level 911s of the past such as the 996 Turbo. 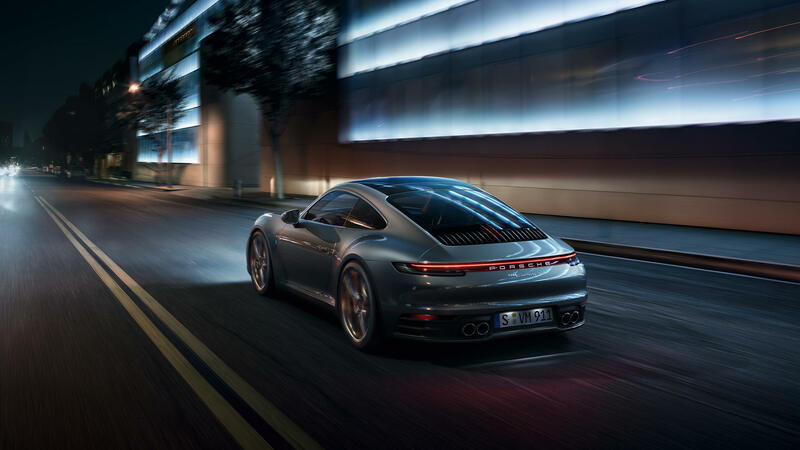 The 911 has definitely gone through an incredible leap in performance and efficiency over a relatively short period of time. 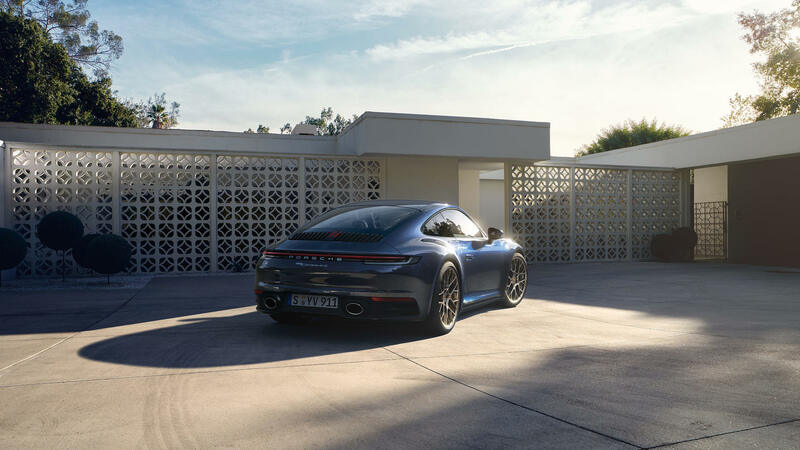 The new 992's exterior design is a further evolution of that of the 991, which in simple terms means a step further in the direction of Porsche's now signature design that is also apparent on the current Panamera, Cayenne and Macan models. At first glance the 992 looks quite big as it keeps the large wheelbase with relatively short front and rear overhang from the 991. This is further accentuated by the elegant rear taillight that stretches over the bodywork. 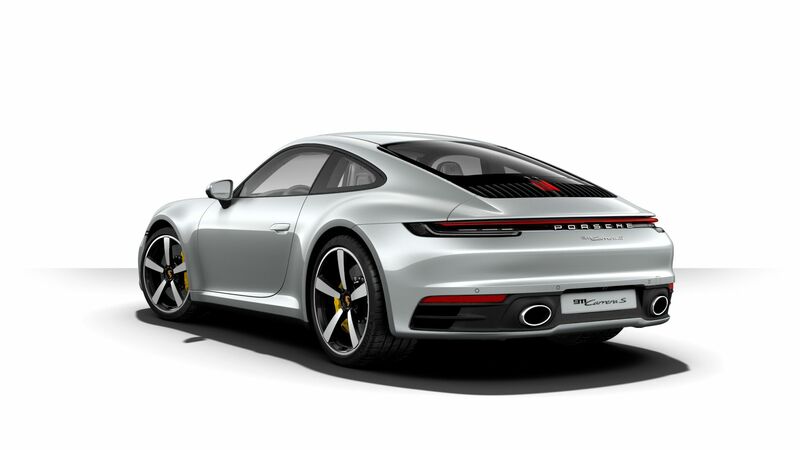 Although unmistakably 911, the new design needs some getting used to from certain angles. 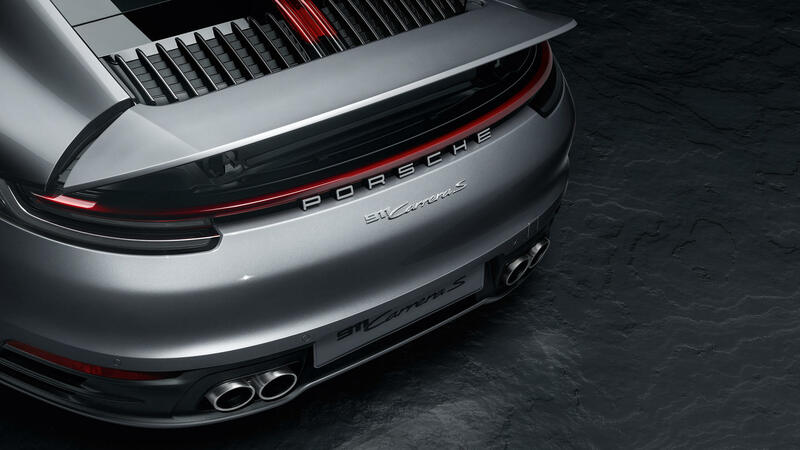 The 992 has already been dubbed 'the Robocop' because of its futuristic rear end design. 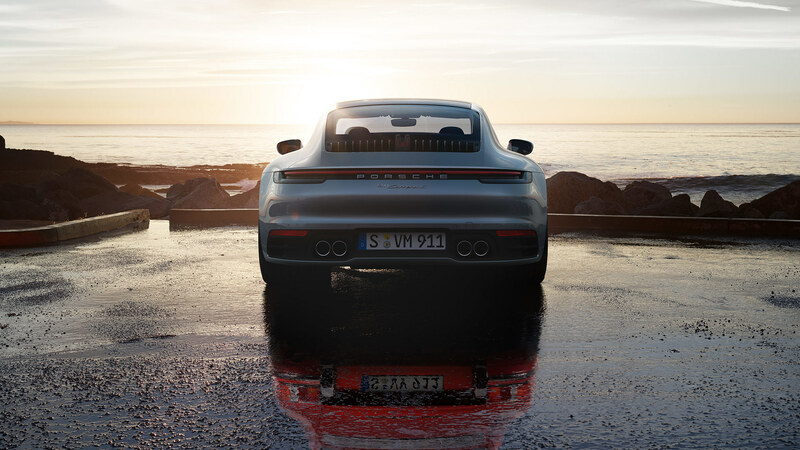 The low position of the license plate versus the relatively high position of the modernist taillights indeed give somewhat of a futuristic touch to the 911 that may be hard to appreciate, especially at a straight angle. The black, diffusor-style exhaust compartment further accentuates this impression and is a step away from the more classic 911 rear-end. The front of the 992 feels perhaps the most familiar. 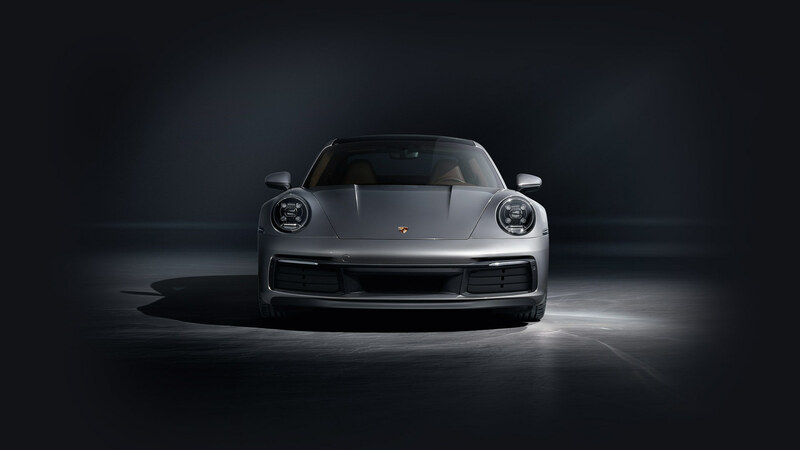 The PDLS plus headlights give a familiar face to the seemingly unchanged 911, yet what immediately comes to eye is the rectangularly shaped front air intakes. 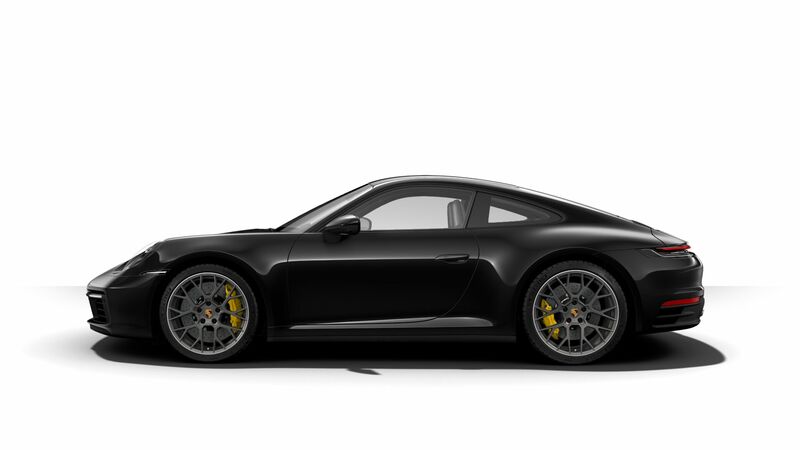 Again a more modern touch for the 992, which seems a hard match with the curves of the front fenders at first glance. The front bumper line is also quite visible on the 992, especially for lighter colours. As a consequence we tend to prefer a darker color on the new 911, in anticipation of seeing it a first time in the flesh. 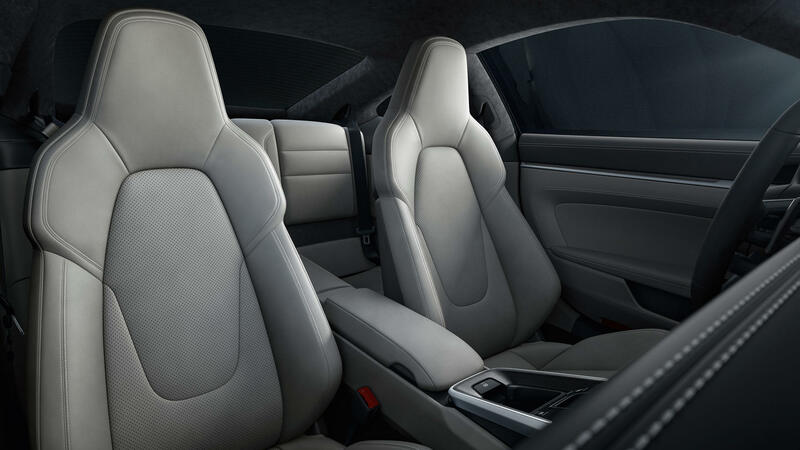 The interior design is where the 992 presents the biggest change from earlier models. 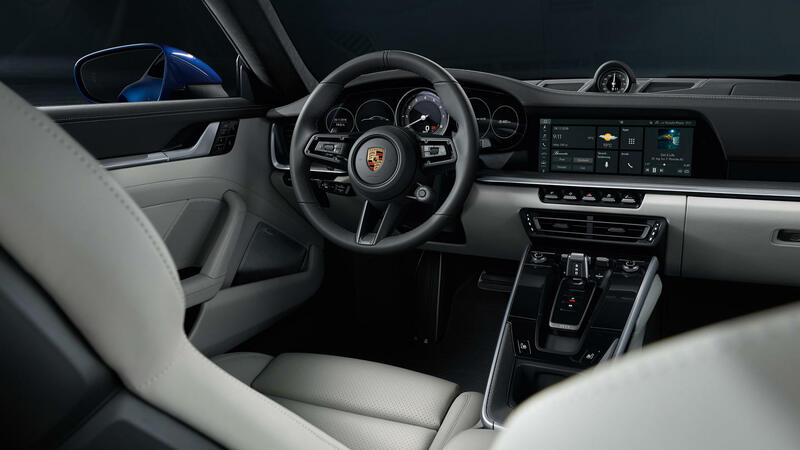 Where the 991 introduced a much more Panamera-inspired center console, the 992 takes it even a step further with a larger and fully digital console at the heart of the dash. 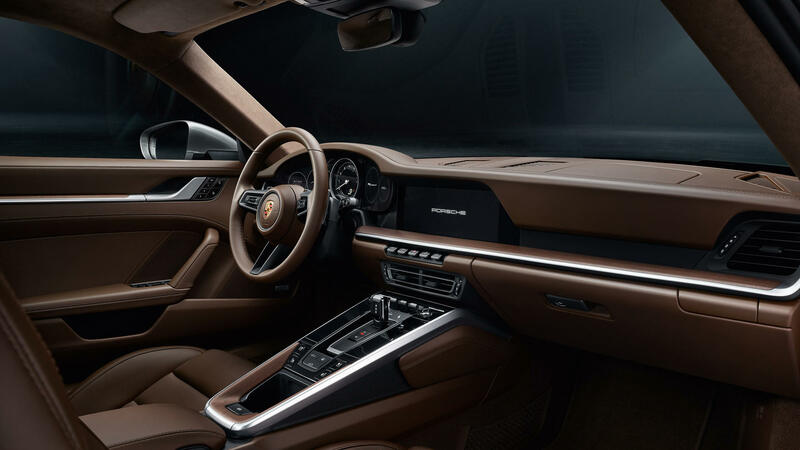 The somewhat abundant buttons of the 991 have been set away nicely in a dark and stylish center console that strongly resembles that of Porsche’s latest four-door saloon. As a consequence of the larger Porsche Connect screen the aluminum dashboard inserts have become less prominent on the latest 992 versus any previous 911 generation. 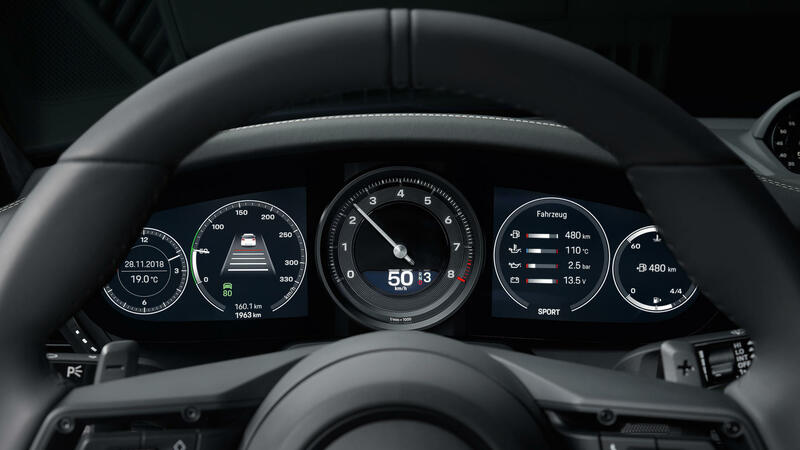 On the other hand, the digital speedometer has a distinctive retro touch which plays out very tastefully in the latest 911. 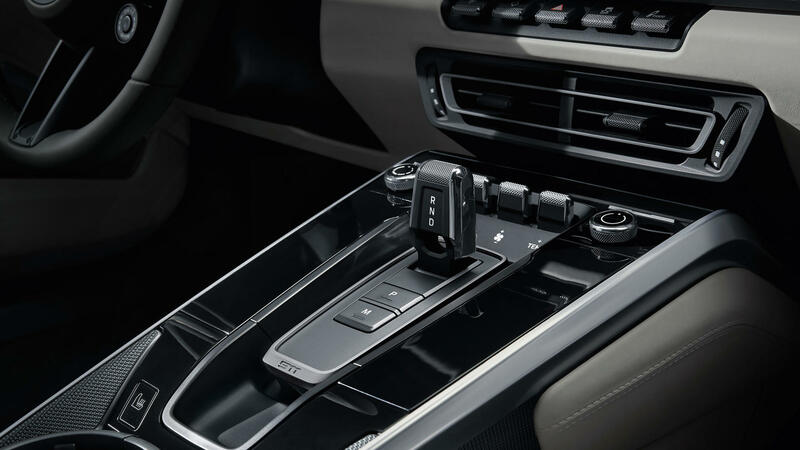 Don’t be fooled by the somewhat quirky gear lever of the new 8-speed PDK. 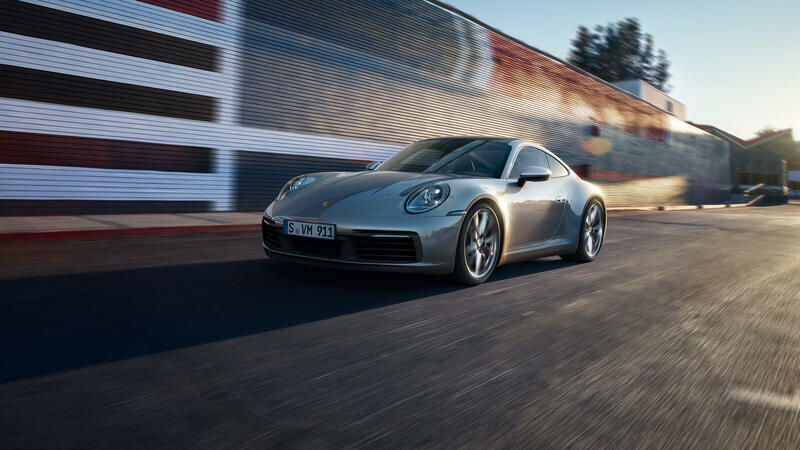 Porsche’s latest iteration of the double-clutch gearbox in combination with the turbocharged 3-litre flat six is capable of launching the Carrera 4S from 0 to 100kph in just 3.4 seconds. 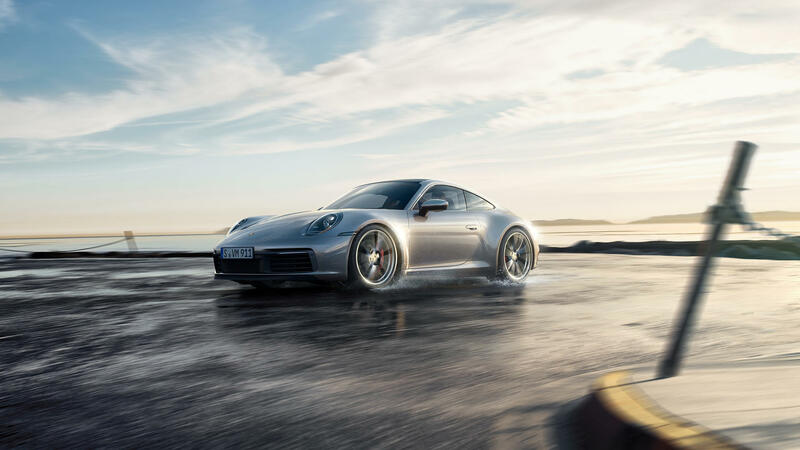 But obviously you would need to add the Sport Chrono Package, combined with the latest Porsche Traction Management (PTM) and Porsche Stability Management (PSM) technologies to reach optimum performance. 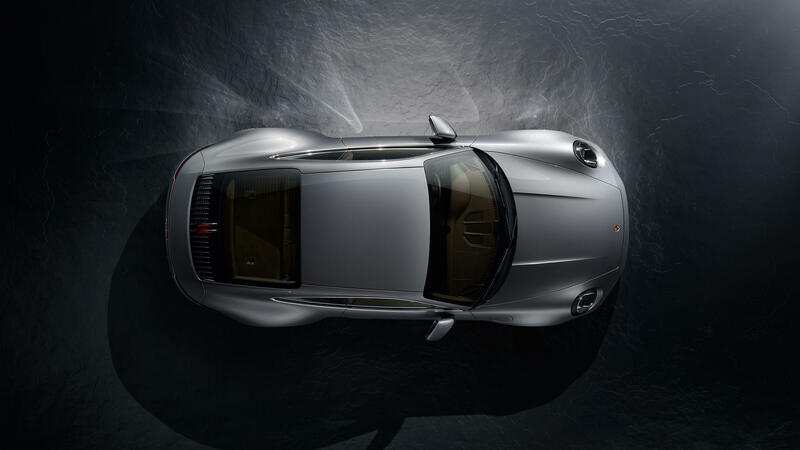 From a styling point of view Porsche has introduced a series of new options for the 911. We are very pleased to see Aventurine Green return to the 911’s color palette. Lizard Green is a new color for the Carrera for those wanting to give their new 911 a more RS-like looks, especially in combination with Aurum gold wheels. 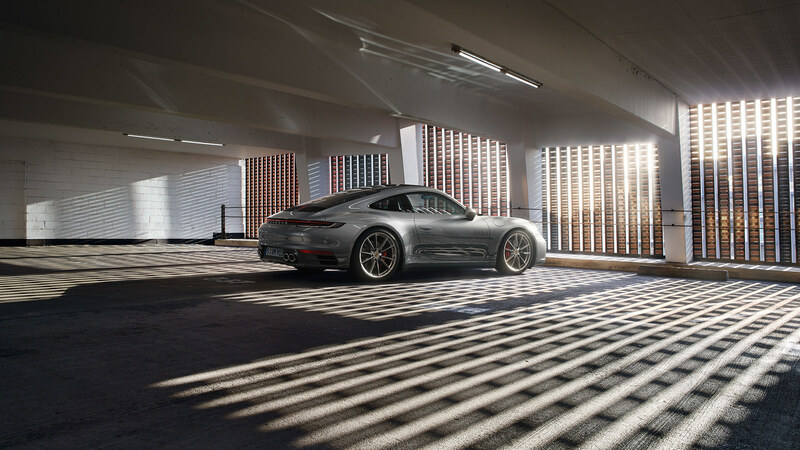 In conclusion, it seems that the new 992 has raised the bar yet again for the 911. 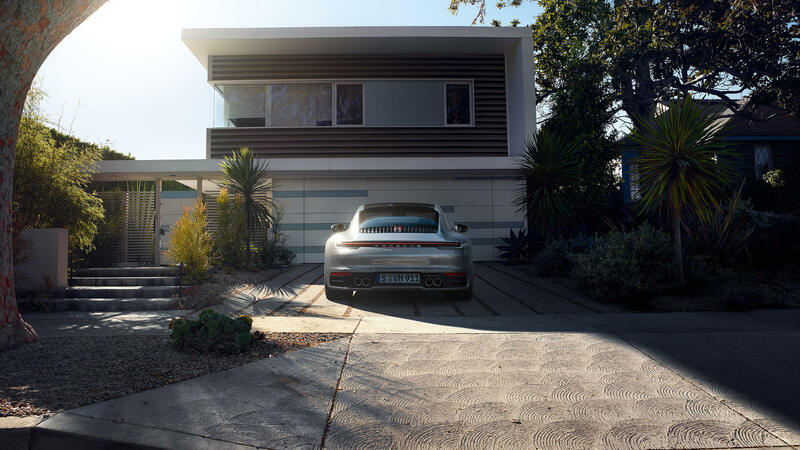 In terms of styling it follows the latest Porsche family looks; call it a further modernisation of the 991. In terms of performance it puts the Carrera S at levels that in a not so distant past were only reserved for top-of-the-range 911s. Stunning!